Oh, WoW! This salvia is something else. 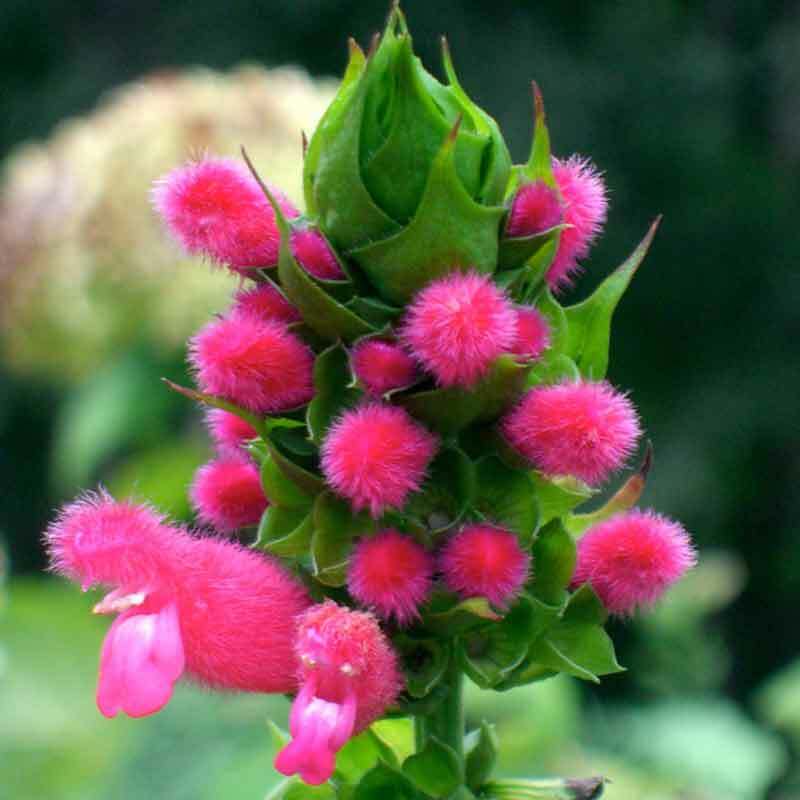 It has shiny, dark green leaves and PoPPing, fuzzy fuchsia flowers that are just as fantastic in bud as they are in flower. Blooms summer to frost attracting hummingbirds and butterflies. Great cut flower. Deer resistant. Full-part sun. Average to moist fertile soils. Height 3′. Spread 3′. Zones (8)9-10.